If you’re facing a personal injury lawsuit, the added strain of trying to make ends meet while you’re going through litigation can make the proceedings seem that much more difficult. You might be out of work, or facing expensive medical bills. A lawsuit loan may be the solution to getting the money you need to pay bills while you wait for the outcome of your case, but it’s important if you go this route to be very prudent about picking the right lawsuit loan company. Before we discuss how you can choose the best lawsuit loan company, let’s take a look at how exactly this type of presettlement funding works. First, you’ll need to already have a lawyer in your case, and your lawyer should be fairly confident about the outcome of the case – that it will either win in court, or settle for an acceptable amount. Based on these merits, a lender will discuss with you how much money you might need to get through litigation, and then determine if you should receive the loan. -Make sure the lender answers your questions. Opt for a lawsuit loan company that will provide you with an exact number for your loan, rather than a range. Also, look for a loan company that is a direct lender, rather than a broker. -Look for a good interest rate. If your case wins or settles, your lawsuit loan will be paid back from the proceeds; but obviously you’d still like to receive some of that settlement, so look for a lender that charges low interest rates. -If you have bad credit or no credit, opt for a lawsuit loan company that doesn’t perform a credit check or require any collateral to provide you with the money you need. -The best presettlement funding companies will also not require you to pay back your loan in the event that your case loses or fails to settle. That way, you never have the added strain of having to pay back a large amount of money if you don’t win your case. When you start doing your research, you’ll find there aren’t many lawsuit loan companies out there that meet all these requirements. Interstate Lawsuit Funding is sure to stand out as one of the best lawsuit loan companies in the country. Give us a call at 954-946-0487 or fill out our 30-second online application today to find out if you qualify. This time of year, it can be especially dangerous when you’re out running errands, due to icy conditions in the winter. It’s not uncommon for people to slip on slick sidewalks and parking lots. Most of the time you can easily recover your balance, or you may just suffer a small scrape or bump, but what if you’re seriously injured? In cases like this you may face expensive medical bills, possibly even surgeries to help you heal from your injuries. Thus, it may be time to consider whether you should pursue a personal injury lawsuit against the property where you had your fall. These are particularly tricky lawsuits, because the key to winning is to prove that the owner or manager of the property where the accident happened was aware of the dangerous conditions that caused your fall. If you can prove that the owner knew that the parking lot or sidewalk was slick with ice, and took no reasonable measures to improve the situation, you could have a good case for a hefty settlement. The trouble is that proving that a property owner is legally responsible for your injury can be a long, drawn-out, complicated process. And if you’re already facing expensive medical bills, adding legal bills to the mix may put you in a really precarious situation. If you’ve decided to pursue such a suit, it may be time to reach out to a lawsuit loan company to find out about qualifying for a cash advance on pending lawsuits. 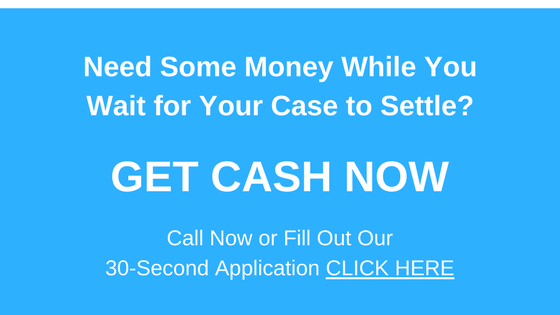 Such a cash advance may be the key to helping you stay afloat in your day to day life while litigation is going through proceedings. How do these lawsuit cash advances work? A lawsuit loan company will review your case and determine whether it merits a personal injury cash advance. If the company determines that you qualify for a loan, you’ll receive the money you need to help take care of bills while you recover from your injuries. Lawsuit loans offer many advantages over traditional bank loans or lines of credit. For one thing, you don’t have to go through a credit check, or provide any collateral, in order to receive the loan. For another thing, and what is key for many plaintiffs in personal injury cases, is that whether you have to pay it back at all is contingent on the results of your case. If you win your lawsuit, the loan will be repaid from the proceeds. If you lose the case, the money is yours to keep; there is no need to pay it back. 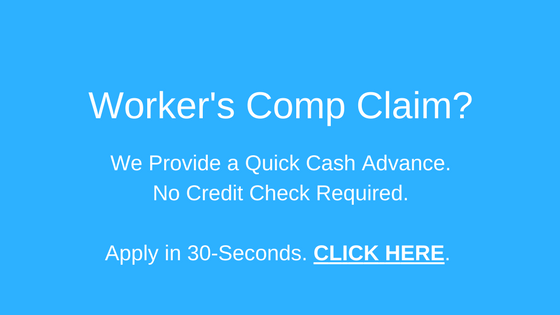 A lawsuit cash advance can provide a lot of peace of mind during difficult personal injury proceedings. Call Interstate Lawsuit Funding at 954-946-0487 or fill out the simple online application to find out if you qualify..